The suspect in the killings of two sisters in Cheverly, Maryland, has been found dead in Virginia, authorities said Tuesday afternoon. Authorities believe the suspect, Kevin Tyrice Reynolds of District Heights, died of a self-inflicted gunshot wound. Prince George's County Police say Reynolds was suspected in the deaths of two sisters -- 26-year-old Tarekka Jones of Cheverly and 22-year-old Jalisa Walls-Harris of Bowie -- who were killed Monday night. 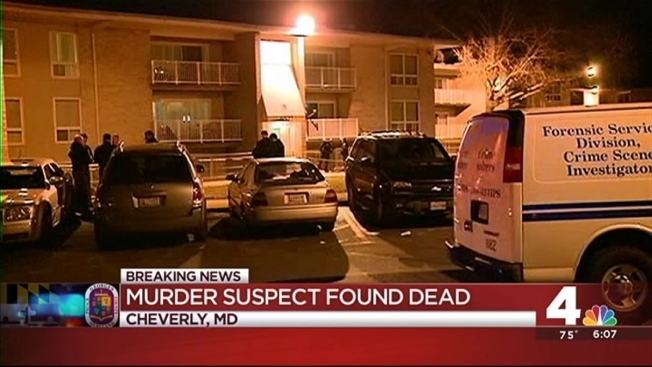 Officers were called to the Cheverly Station Apartments on Landover Road about 10:30 p.m. Monday and arrived to find the victims suffering from gunshot wounds. Both women died at the scene. Tarekka Jones and Jalisa Walls-Harris were fatally shot in Cheverly Monday night. A neighbor said it happened in front of Jones' 5-year-old child. This shooting brings the number of homicides related to domestic violence in Prince George's County to eight this year. State's Attorney Angela Alsobrooks told News4 that she supports a bill that would expand the definition of abuse in Maryland. Homicide detectives obtained an arrest warrant for Reynolds early Tuesday morning. He was found dead in Hanover County, Virginia, around 10 a.m., police said. The Hanover County Sheriff's Office is investigating Reynolds' death. 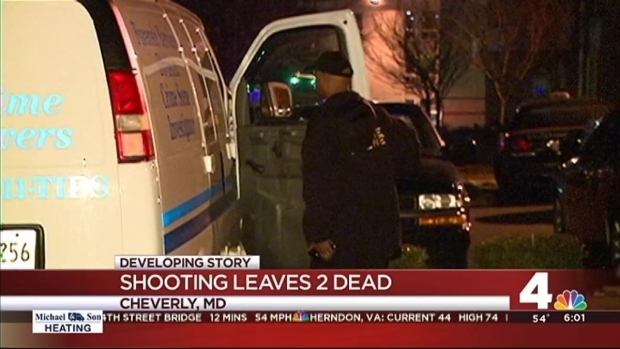 Two women were shot to death inside an apartment in Cheverly, Maryland, Monday night. Prince George's County Police said the preliminary investigation indicates that Reynolds and Jones had been in a romantic relationship. 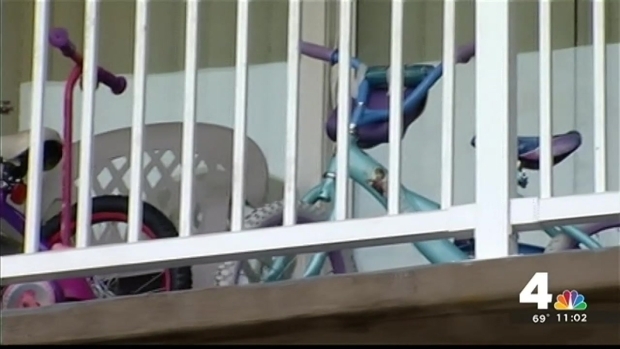 One neighbor told News4's Molette Green that Jones' three children were in the apartment and her 5-year-old saw what happened. "It's sad. It's really sad. That you would just take an innocent life. People don't value life anymore," said a woman who identified herself as one of the victim's relatives. Walls-Harris wanted to pursue a career as a vocalist, according to a woman who identified herself as a family member. "She was a shining star. She would light up any room," the family member told News4's Meagan Fitzgerald. Jones was studying to become a dental hygenist, according to a classmate. "She was really nice and outgoing," another classmate said. Residents at the apartment complex reported hearing an argument before the shooting. The deadly double shooting comes hours after two women were stabbed inside an apartment in Landover Monday morning. Santa Lizama, 23, died at the scene; the other is expected to be OK. Police say Lizama and the suspect were in a romantic relationship. Walls-Harris' family is accepting donations for funeral expenses via a GoFundMe page.